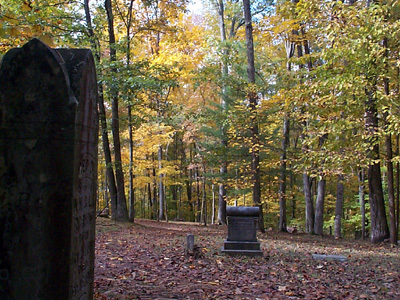 The following is a list of graves with fairly readable markers. Please contact us if you have any additional information we can use to keep our records as accurate as possible. Was a preacher at Meadow Creek Baptist Church. Some people called him Uncle Dave. He raised Zona Scott and a lot of other children. Wife was Mollie Peters. Died at Ramp, WV, wife of R.B. Richmond. Daughter of M.B. and Rosa Wykle Ward. Sisters Evelyn Ward & Lula Lilly are buried beside Mamie with only rocks for markers. Lula was married to Lewis Lilly . I was told they were sisters to Faye Ward of Hinton. There is two children of Lula & Lewis Lilly buried here with only rocks for markers. Arthur lived in Thayer, WV. He died in the Oak Hill Hospital in Oak Hill, WV which is in Fayette county. He was a retired coal miner. He was born in Virginia. All the readable names in the cemetery have been added. If you know of one thats not listed, please contact us.